Located 40 km away from Mysore, Mandya is an important city in Karnataka State. The city was believed to be named after a sage named "Maandavya". Many political honchos of Karnataka hail from Mandya. The Mandya district is well boomed in agricultural activities as Krishna Raja Sagar Reservoir provides the district with ample irrigation. The district is major sugar producer and thus termed as “Sakkare Nagara” which means “Sugar City”. Mandya has Karnataka’s oldest Sugar Factory which processes nearly 5000 tons per day. The other names for Mandya in Kritayuga were "Vedaranya" and "Vishnupura". The city was ruled by various kingdoms like Gangas, Hoysalas, Vijayanagar Empire, Cholas, Hyder Ali, and Wodeyar etc. Some say that the village was gifted to Govinda Raja, a disciple of great sage Ramanujam by Vijayanagar King. So the first Brahmin family which settled down in the village started calling the village after their native place near Tirupathi and that’s how the village is termed as Mandya. 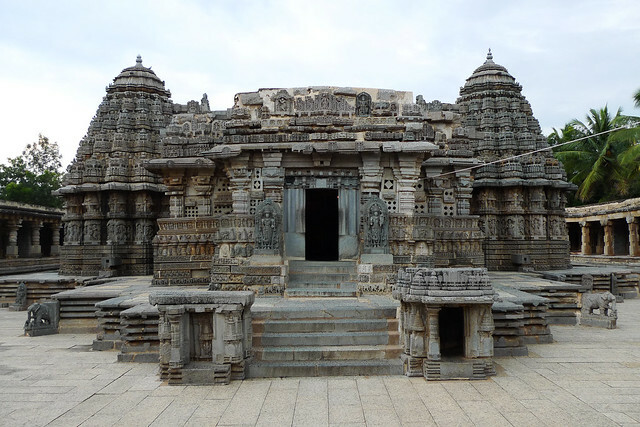 There are many bazaars and stalls in Mandya where you can buy stone carvings and handicrafts at reasonable rates.